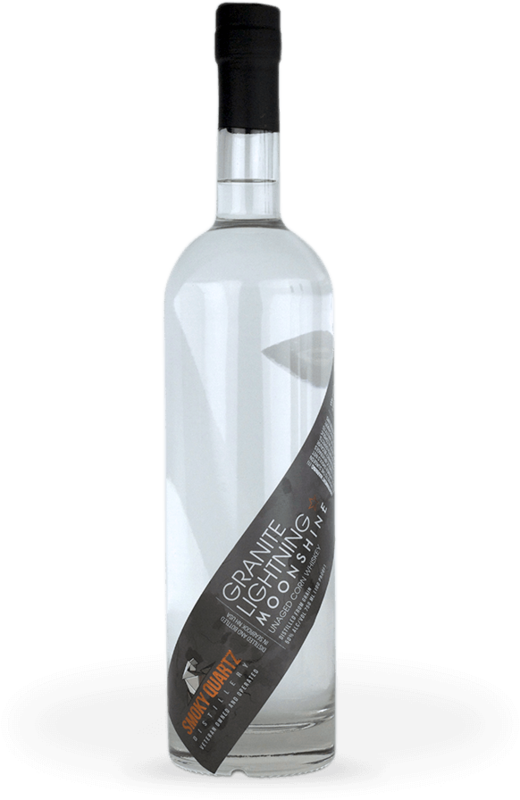 Granite Lightning Moonshine is a traditional American corn whisky. This unaged whisky is born from 100% certified organic corn grown locally in New England. It is distilled only once creating an extremely drinkable spirit with a remarkably smooth sweet taste that works very well mixed or neat. After distillation it is charcoal filtered, proofed with pure New Hampshire spring water and bottled in American made glass. Granite Lightning Moonshine is NOT like other ‘shines’ which typically come in a mason jar and are made from sugar/corn mashes or Grain Neutral spirits. Granite Lightning is made from 100% organic corn mash with no extra sugar ever added. The resulting spirit has a sweet, undeniable whisky opening note and the use of New Hampshire spring water results in a pure, balanced taste. Granite Lightning mixes well with just about any drink recipe where a more ‘traditional’ whisky is used. When drank neat its use of slow charcoal filtering results in a warm, satisfying finish. In a cocktail shaker or bar glass, combine the lime juice, orange juice, and sugar. Add the Moonshine and fill the cocktail shaker with ice. Run the lime wedge around the rim of a chilled cocktail glass and dim the rip in the salt. We're really glad you're here, but in order to check out our premium spirits, you need to be over 21.